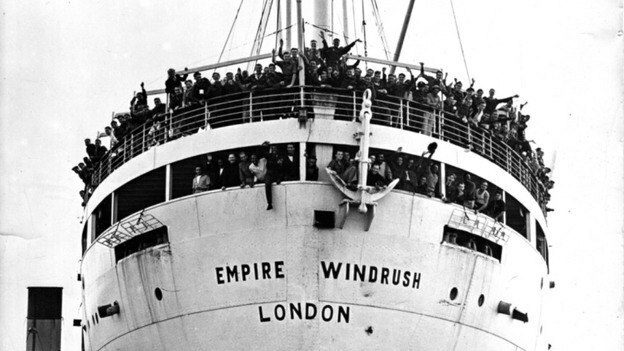 The Windrush Scandal is named after the ship MV (Motor Vessel) Empire Windrush, also referred to as HMT (Hired Military Transport) Empire Windrush, which brought some 500 migrants to Britain from the Caribbean in June 1948. Windrush has become a symbol of subsequent large-scale migration from the Caribbean to Britain which mainly took place in the 1950s and 1960s, often with the support of British governments and major employers. When economic conditions changed, and in order to attack the right of all, governments introduced a series of racist immigration acts, the first of which came into force in 1962. These restricted and then prevented further large-scale migration from Commonwealth countries. Those who arrived in Britain in the period from 1948-1971 from the Caribbean are often misleadingly referred to as the Windrush generation. The 1971 Immigration Act granted migrants from all Commonwealth countries who entered Britain before 1973 indefinite leave to remain, although no official documents were issued recognising this right. Previously, under the 1948 British Nationality Act a new status "Citizen of the United Kingdom and Colonies" had been created for all those born or naturalised in Britain, or its colonies. This meant that when this Act became effective in 1949 those born in Britain's colonies also had the right to live and work in Britain. These rights were restricted and denied by the 1962 Act, while the 1971 and subsequent immigration Acts introduced the racist notion of so-called patriality. As a consequence, even those with indefinite leave to remain were not necessarily recognised as full citizens. This "second-class citizenship" was confirmed by subsequent openly racist legislation such as the 1981 Nationality Act, which even denied citizen rights to some people born in Britain if they could not demonstrate "patriality", or pay a fee to buy their right to full citizenship. 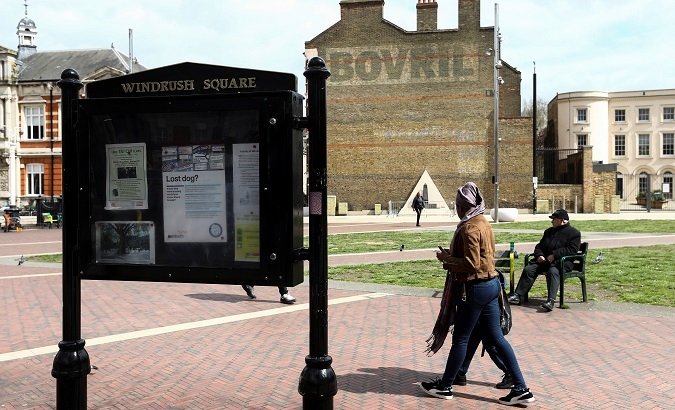 In Brixton, south London, an open public space was renamed Windrush Square in 1998 to mark the 50th anniversary of the arrival on June 21, 1948, of the immigrants from the Caribbean who had disembarked at Tilbury Dock. They first found temporary accommodation, if that is the word, of deep war-time air-raid shelters beneath Clapham Common, before many found work and settled in nearby Brixton.